Born the son of Pascual and Juanita, Robert Espinoza was raised in Brownsville, Texas along with his older brother Richard. Robert went on to graduate from Brownsville High School in 1975 and continued his education at Texas Southmost College for two years. Robert then moved to Austin, Texas to pursue a degree in pharmacy and graduated from The University of Texas Pharmacy School in 1980. Following graduation Robert married Dora Guerrero in 1981; they have two children, Sarah and David, both of whom graduated from Sharyland High School, The University of Texas at Austin, and both attend medical school here in the state of Texas. Robert began his career as a pharmacist with Sommers drug store in Edinburg, Texas and continued his career with Eckerd's, Revco and Klinck's drug stores. 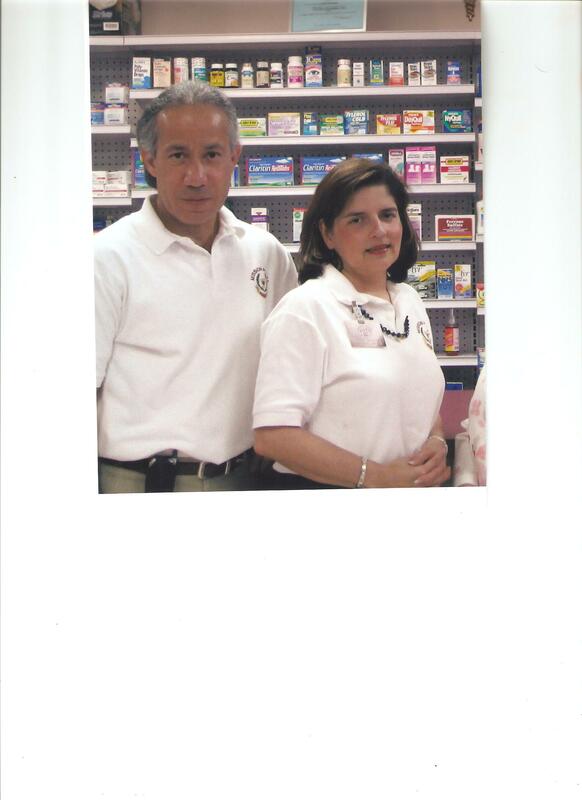 As one of the original founders, Robert and his wife, Dora, opened Mission Plaza Pharmacy in order to serve the people of the Mission area in 1990. Robert is a member of the American Pharmaceutical Association, the Texas Pharmacy Association, the National Community Pharmacist association, and the Rio Grande Valley Independent Pharmacist Association. To this day Robert Espinoza has made it a priority to ensure that Mission Plaza Pharmacy continues to provide quality health care to those in need of medical assistance with compassion and dedication. Dora Espinoza was born in the city of Edinburg, Texas as the fifth of six children to Oton and Emma Guerrero. At the age of 12, the Guerrero's moved to Mission, Texas, and Dora went to graduate from Mission High School in 1975. Dora attended Pan-American University in Edinburg for two years before transferring to pharmacy school at the University of Texas in Austin which she attained a pharmacy degree in 1980 and met her future husband, Robert Espinoza. She married Robert Espinoza in 1981 and has two children two children Sarah and David. Dora's pharmaceutical career began with Sommers drug store but soon moved on to Eckerd's, Wal-Mart and H.E.B. As part owner along with her husband, Robert, Dora assisted in opening Mission Plaza Pharmacy's doors to the public of the Mission area in 1990. Along with numerous pharmaceutical associations, Dora has been an active member in many community organizations over the years including the Mission Junior Service League and the Damas Catolicas. 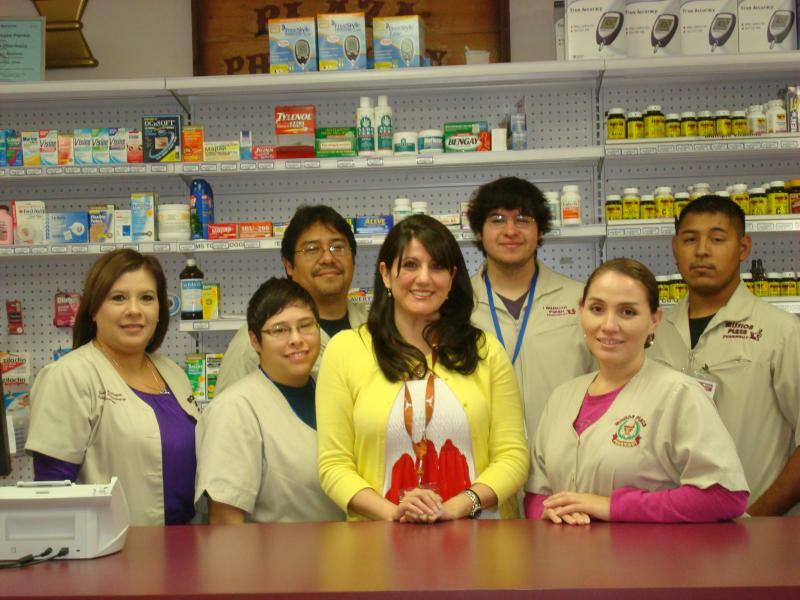 Over the last two decades Dora Espinoza has played an intergral role in ensuring that Mission Plaza Pharmacy deliver the highest quality pharmaceutical health care to customers throughout the Upper Rio Grande Valley. FROM LEFT TO RIGHT: Melissa Champion R.C.PhT. Bea Hinojosa R.C.PhT., Robert Espinoza RPh,Thomas Alegria, Driver, Zelda Guerrero,Accounting, Celene Castillio, R.C.PhT. Between All the 3 locations we have over150 years of experience. 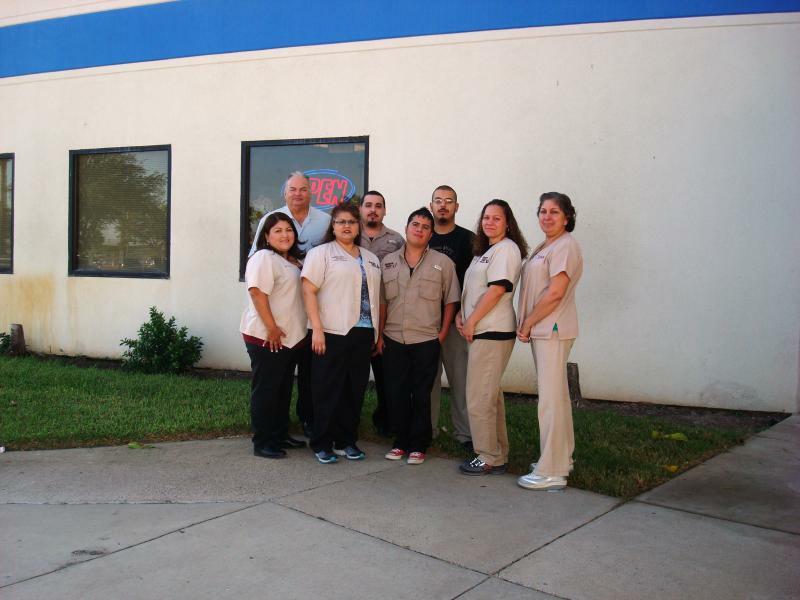 We strive to offer the best customer service to all our customers. We also offer home delivery for your convinence.